We sit down, look around, and know it. We know we’re the only women of color in the room. We know we are the only Pakistani women of color majoring in Special Education within our program. Where are our South Asian narratives? Why are our voices not more present across various educational settings? After three years within our undergraduate program, we noticed the lack of South Asian literature within the classroom libraries we were observing during our clinical experiences. Furthermore, we noticed the lack of South Asian experiences and narratives in the curriculum being taught. Rather than just have a book bin labeled “multicultural book,” we wanted to dig deeper as educators and provide a resource to intentionally integrate multicultural literature into learning. After asking ourselves over and over again what this could look like, we settled on creating a South Asian booklist to be used by teachers and librarians alike. 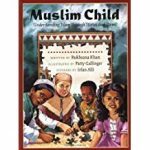 With the recent political climate and fast-moving changes to immigration policy, we have tailored the booklist to better represent narratives of immigrants, refugees, and informational texts about Islam, not only a faith we both identify as, but one that has influenced our political climate. We have defined South Asia to include the countries of India, Pakistan, Afghanistan, Nepal, Bhutan, Myanmar, Sri Lanka, Maldives and Children’s Literature ranging from Pre-K through 8th grade. 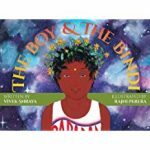 We want our South Asian children to hear, see, and connect with narratives similar to theirs. This novel is about Naeem, a Muslim teenager who is from an immigrant Bangladeshi family and living in Queens, New York. 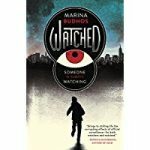 He describes his experiences of constantly being surveillanced by his parents, neighbors, cameras in his neighborhood, and the police. Among many issues, this story especially deals with Islamophobia, the dangerous effects of racial profiling, and the pressures of being an immigrant teenager in America. This informational text is about the history of sugar, trailing from India to Europe to the Americas. Sugar was one of the driving forces of the slave trade and cost many lives, but it also caused revolutions around the world. 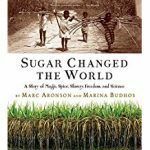 This book includes songs, maps, and illustrations to depict the history and interconnected impact of sugar in the world. There is also a timeline, bibliography, and index included. 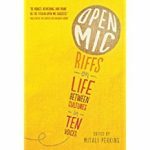 Follow along with Mulla in this text that explores the Islamic world through an honest, open, and humorous collection of short stories. 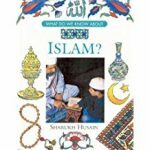 This informational text provides answers to a range of questions surrounding Islam as a religion, specifically directed toward young people. 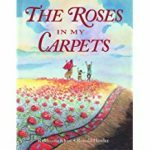 This collection of short stories brings together six children, from the same class, to share their faith based celebrations. Not only does the text touch on various religions, but it also creates a community of celebration among the religions. Set during the Basunt kite festival in Lahore, Pakistan this text follows a young boy that has a disability and his excitement for the kite festival. 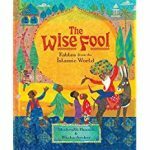 Sharing short stories, recipes, and an overview of the basics of Islam through narrative, this text shows what it means to be a Muslim child with all the doubts and insecurities in between. The text also has a reference section in the back for pronunciation. This picture book depicts the life of a young Muslim boy who is an Afghani refugee living in a poor refugee camp.The boy prays daily, goes to school, and weaves beautiful and colorful carpets to earn money for his family and to find happiness while living in the camp. 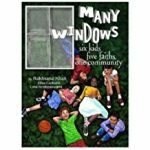 This book is a collection of humorous, powerful, and personal stories and poems written by ten different young adult authors about their experiences with their races and cultures. 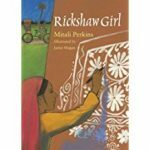 This short chapter book is about a ten year-old girl named Naima who lives in Bangladesh. In order to earn money to help support her family, Naima disguises herself as a man and drives her father’s rickshaw. Not only is she able to support her family with the money she earns from this new job, but Naima also challenges the traditional gender roles in her culture throughout the story. This novel is about Maya and her older sister Zara who travel from Pakistan to their grandmother’s hometown in India to find valuables that her grandmother’s family left behind. 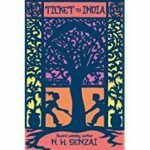 During her journey throughout India, Maya learns a great deal about herself, her family’s past, as well as India’s history and how it came to be the country that it is today. 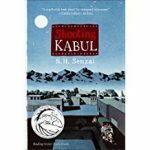 This text showcases the struggle of a young refugee boy from Afghanistan adjusting to life in the US. Through a relatable tone in honest situations, Fadi shows just what it means to persevere. 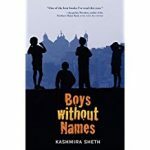 This book is about an eleven year-old boy named Gopal who flees with his family from their poor, rural Indian village to the big city of Mumbai. Separated from their families, Gopal and the other boys are trapped in a sweatshop forced to work under extremely brutal conditions. In this story, a young boy is fascinated by the bindi that his mom wears on her forehead. She teaches him the cultural significance behind the bindi and also lets him wear one on his own forehead. His bindi makes him feel unique, beautiful, peaceful, protected, connected to the world, and grounded in his culture and identity and uncovers gender roles in South Asian societies. It is important to note that this book list is not all-encompassing. 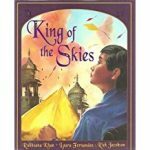 There are many more South Asian children’s texts out there, but we developed this list in an effort to start somewhere. As we read the books on this list, it was such a validating and empowering experience to see our cultures and traditions represented in stories, to see main characters that looked like us, to understand the words in Hindi, and to relate to the different experiences of the South Asian characters. If it was so impactful for us to read these culturally relevant texts, then it will surely be just as impactful for children. Therefore, it is crucial for educators and librarians to include these texts in their classrooms and programs. 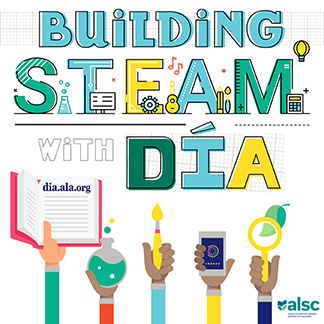 Developing multicultural programming will not only help children see themselves in the books that they read, but it will also increase children’s engagement and motivation to read, which is especially important for struggling readers. Before doing this project, we were not aware of many South Asian authors or children’s texts that were out there. This proves how little books with South Asian voices are exposed and talked about. It’s not as if these books do not exist. They do. However, as future educators who care about shaping our children to embrace their cultural backgrounds and identities, we must actively and extensively search for these books, share them with everyone we know, including teachers, librarians, friends, and family members, and effectively incorporate them. Armeen Sayani is an immigrant from Pakistan, a first-generation American education student, and a senior at Loyola University Chicago. Armeen is pursuing Special Education because she is passionate about helping individuals with disabilities overcome academic, emotional, social, and physical boundaries so that they can reach their highest potential in life. 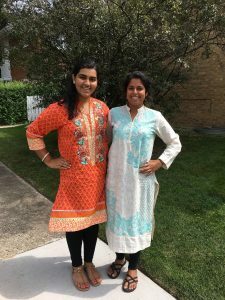 Sania Zaffar interned at ALSC and is currently a student at Loyola University Chicago finishing a degree in Special Education. She can’t wait to see how her future students will respond to literature that resembles their own lived experiences, something she did not have growing up. Website Transition Is in Progress! Thanks for this excellent list. 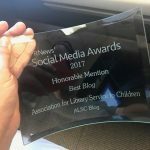 I also want to let readers know about another source of materials by and about South Asians: the South Asia Book Award for youth: http://southasiabookaward.org/. Begun in 2012 through the efforts of Rachel Weiss, UW-Madison’s Department of Asian Languages and Culture, a member of SANOC (South Asia National Outreach Consortium), this award committee made up of public and school youth librarians and SANOC subject experts, honors award winners and generates a list of highly commended books annually. All the honoree book lists and recommended books are listed online from 2012 until the present. Thank you for sharing this resource!!! I’m happy to hear of how many places and how many people are truly connected in culturally relevant booklists! There is also a longer version of the list here: http://bit.ly/2gA12oc. Thank you to Kitaab World for all the support!